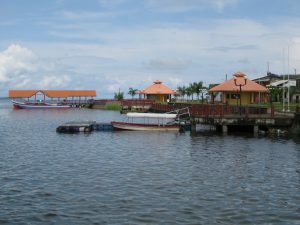 San Carlos, the Capital of Rio San Juan Department. 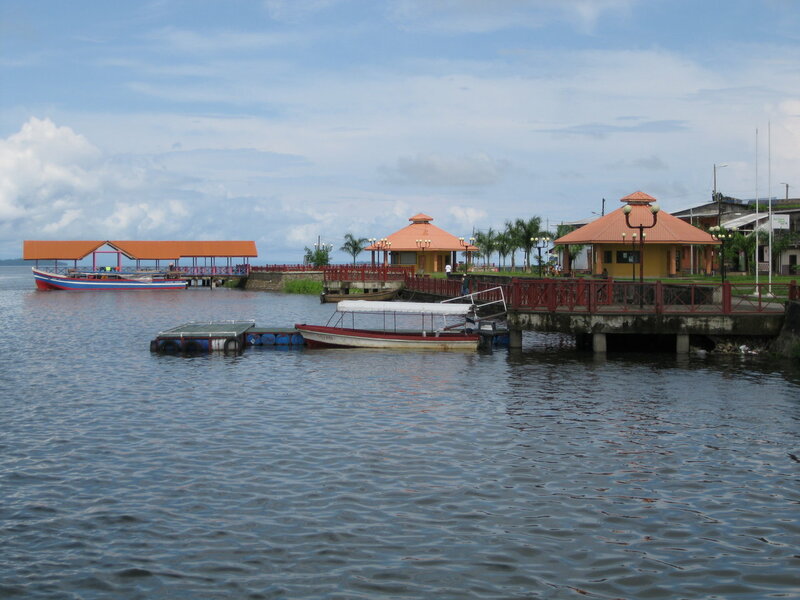 San Carlos is the Capital of the Rio San Juan Department. Rio San Juan is one of 17 departments in Nicaragua. 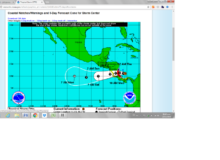 The department lies on the far south eastern corner of Nicaragua. It borders the Caribbean sea to the east and Lake Nicaragua to the West. To the South, lies Costa Rica. The main source of communication and transportation in Rio San Juan is the San Juan River. The River flows 120 miles and is navigable all the way. 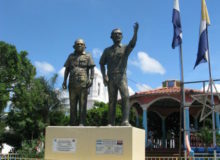 San Carlos can be reached by a great paved highway from Managua. Yet if you are planning to go deeper into the department, you will need to continue by boat. San Carlos acts as a River Port. Passenger and cargo boats depart towards the communities of El Castillo and San Juan de Nicaragua. 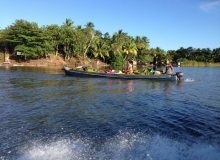 There is also ferry service to Ometepe and Granada as well as the Solentiname Islands. Another way to get to San Carlos is to fly directly from Managua. La Costena Airlines offers non stop service on a regular basis. Service is usually on Fridays and Sundays. The boardwalk at San Carlos is a great place to enjoy a sunset! San Carlos is built right where Lake Cocibolca and the Rio San Juan meet. There is a nice boardwalk where you can enjoy magnificent sunsets. Views of Lake Nicaragua are spectacular! One of the best spots to enjoy the view is an old Spanish fortress that sits on a small hill. There are several small hotels and restaurants and you will enjoy your time here. Why visit San Carlos? Because it is the gateway to the San Juan River! From here you can visit El Castillo, San Juan de Nicaragua. You can also go tarpon fishing in Boca de Sabalos or explore the Indio Maiz Biosphere Reserve! 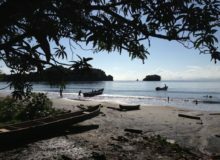 San Carlos is also the easiest way to visit Solentiname Islands. 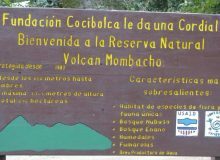 Last, but not least, it is a good route to enter Costa Rica. You can take a boat up the Rio Frio to Los Chiles or go over the new La Fe bridge over the San Juan River and into Costa Rica. 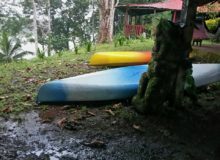 From either option, you are close to La Fortuna, one of the prime Costa Rica destinations!